Recently I sat with another parent, swapping adoption stories as we proudly watched our sons play basketball. It's hard to believe that Andy, the strapping 10 year old hustling down that basketball court, had weighed 10 pounds at age 12 months. Or that Brittany, his bright, charming sister, had spent the first year of her life hooked up to a hospital respirator. Of course, I continue to be awed by my own children, Sergei and Tanya, who came from Russia at ages seven and eight. They suffered much trauma and deprivation in their early lives, yet have bounded back with courage, imagination, and zest. As we chatted, in a ploy common among adoptive parents, my friend mentioned that she knew of 150 orphans from Rwanda now waiting for adoption, just in case I knew of someone who might be interested. I wish I did know more people who are interested. Adoption is still the last resort for the vast majority of people wanting children. Most will go to exceptional lengths to have biological children. My sister-in-law, for example, endured over 10 miscarriages to bear a third child, even though she already had a son and a daughter. I believe the resistance to adopt goes beyond the natural urge to replicate oneself to a huge fear of the unknown. Adopting any child, especially one from another race or ethnic group, is like traveling to a foreign country. That can be part of the appeal--the allure of the exotic-yet there's a major difference. When you feel tired or confused on a trip, you can simply return home. With adoption, you are home, and the child is there with you, permanently. Even when the adoptive prospect is not ethnically different, there comes the fundamental fear that you won't be able to love someone who is not physically you. I remember talking with a woman who adopted a child about the same time I did. She asked me if I would eat off my child's plate-a strange question, but I knew just what she meant; she wanted to know whether I experienced with my adopted chide the kind of intimacy you have with a child out of your womb. I reflected on the question and realized, quite honestly, that the attachment had not been instantaneous. Especially when adopting an older child, bonding takes time. To believe you can bond requires courage and practice. I've talked to a number of adoptive parents to learn how they made this leap of faith. One who has adopted four children, all from different countries, worked as an ESOL teacher and in this way experienced love for children from other cultures. Another parent had cared for children of different races as a nurse. To test my own capacity, I became a foster parent. Through this difficult process, I found I could love a variety of children who superficially didn't resemble me at all. Within each child I discovered a point of kinship (a sense of humor, love of music, dance, reading) that sprouted into love. When I adopted my daughter, the first year was extremely difficult. We didn't speak the same language, literally or figuratively. Finding herself in an unknown land and culture, Tanya was wild with fear and anxiety. I responded with my own fear and anxiety. It was such a mess that I questioned whether we would ever bond. From the get-go, however, we had one small but essential thing in common: We both loved the African beat of Zimbabwe musician Thomas Mapfumo. On a particularly rough day, we could put on a tape and groove. I recognized a kinship on a deep, soul level, which sustained my faith. The heart is a muscle and requires exercise to stay vital. Loving a child who is not you may seem like a huge challenge, but it's really a small, relatively digestible way of loving a piece of the world. Thinking of those Rwandan orphans, for example, I recalled my horror and sense of impotence when the terrible genocide took place there. How can one respond to such atrocities? Adoption allows you to briefly imagine you are part of the solution rather than the problem. For many parents, the desire to love surpasses any complexity. One mother, who became pregnant while she was awaiting her adoptive son from India, now has two children who are only months apart in age. She says that the moment when she and her husband were handed their Indian son at the airport matched the excitement, months later, of physically giving birth. Ashi was handed to her, and time stopped; she was aware of nothing but his smiling face. Another parent told me that on the way to the airport, her biological son was so excited at the prospect of a brother that he rolled down the window to tell the driver of another car where he was going, and why. I've been reading Nancy Newton's The Primal Wound: Understanding the Adopted Child, which tells of the trauma experienced by adopted children, regardless of the loving home scenario. No doubt, what she reports is accurate. Yet there's a term I learned from writing screenplays that may apply here: What is the "dreadful alternative"? In the case of my children, Tanya and Sergei, they would have remained in institutions throughout childhood, and Sergei might have died from Hepatitis B (he has recovered from this terrible disease since coming to live with us). The fact is that millions of children throughout the world suffer every day of their lives from malnutrition, disease, or abuse. Many of these children could be rescued through adoption. To be sure, adoptive parents bear a significant cost, both financial and psychological; but our rewards are tremendous. "No pain, no gain" goes the adage about physical exercise and, I believe, it applies to the heart muscle as well. In fact, once you've passed over an invisible border that either allows you to love beyond what you recognize as your own, or to recognize as your own some quality that was previously incognita, you may experience the genuine elasticity of the heart. You may even wish to stretch this muscle further--which is why some adoptive families don't stop with one or two children but fill their homes. 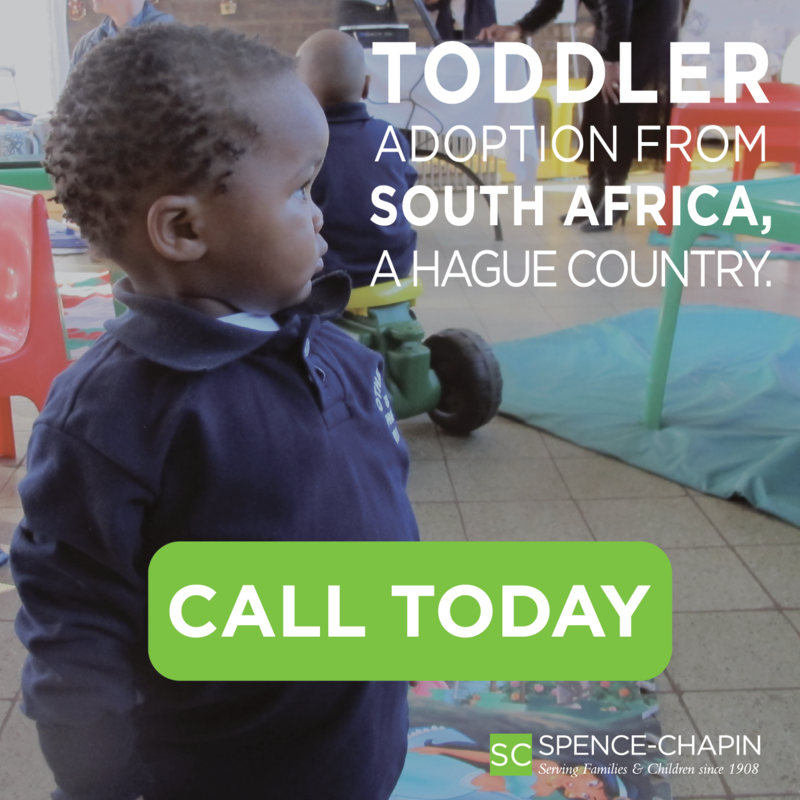 Unfortunately, there is no more room in my home, no matter how many adoptable children from Rwanda, Brazil, India, China, or the United States await families. That's why I resort to writing, in the hope that someone will be encouraged to go this route-and discover their own heart's rewards. Rosemary Zibart was born and raised in Nashville, Tennessee, and now lives in Santa Fe, New Mexico, with her husband and their two adopted children. She has written for TV, film, newspapers, and magazines, and is the author of Kidding AroundSan Francisco.